Going back to school is a surprisingly enjoyable experience. Plenty of games are out there about heroes and mages, but have you ever wondered where they went to school to learn it all? In Valtherian Arc, you are the new principal of an academy for heroes. It does a fairly good job blending city building, character management, and dungeon crawling, but at times sags under the weight of the varied concepts. 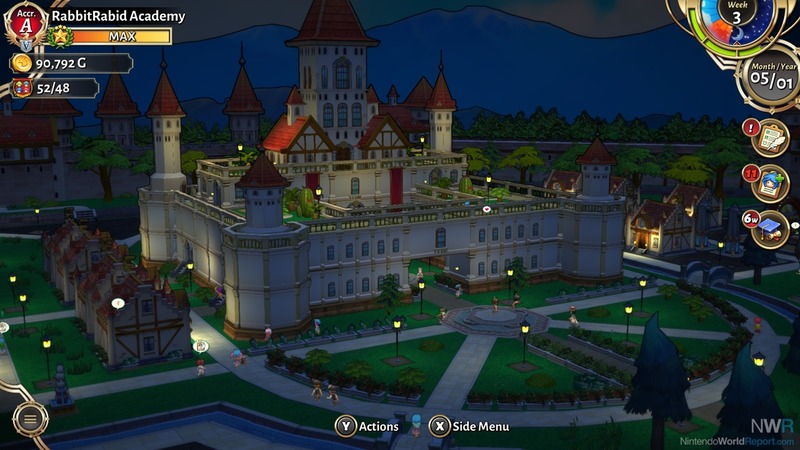 The city building aspect is handled well for being on a console. The menus and interface have been adjusted to a controller in an effective manner. While very few time-sensitive actions need to be taken, trying to move around your school can be a little slow at times. Seeing the students walking around your school in between different activities makes it feel alive. While exploring the school, minor decisions pop up that involve a short scenario and two options to handle it. They’re cute - usually involving things like a lost wallet or a student arriving late to class - but often felt random. If you stumble upon the better outcome, you earn experience and more, but they all feel more like little diversions than anything substantial. The character management feature is one of the weaker elements, though. I was confused on what to do at multiple points because there was only minor explanations or none at all. In the beginning, your characters will all be apprentices, but you begin to unlock classrooms that allow you to promote your characters. One thing the game doesn’t tell you is that weapons have set classes who can wield them. I upgraded all my level 10 characters to knights when I first unlocked them only to realize all the weapons I had, and could make, were not available to knights. This, combined with all the levels becoming more difficult, left me in a position where I was stuck and had a hard time moving on. You also only get three parties of four students. Only having spots for 12 students became a problem when my school continued to grow, and I had 20 students enrolled at a time. New students still came it at the first level, and so I ignored them until I maybe had a spot on a team with three high-level characters who could help pull the newbie up. 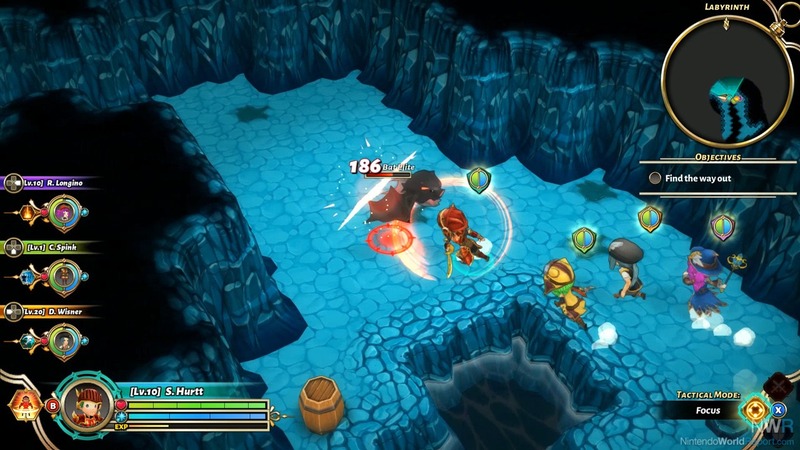 The dungeon crawling levels are fun at first, but quickly become stale. They mostly consist of running around one of a few generic zones and killing a certain number of monsters or collecting certain items. Combat is just mashing the A button over and over, while occasionally mixing in one of your abilities. Errand missions sometimes show up where you simply assign a team to them and the mission is completed once the proper time has been reached. These missions are really useful for raising the level of your newer students, but there were not enough of them. If the game offered you the ability to complete every mission in this manner, there might have been a little more depth. Once you complete every errand mission, there is no use for having three parties because you can only take out one at a time. When errand missions are available and you can send all of your teams out, you are stuck just sitting and waiting for time to pass as no fast-forward option exists. Difficulty spikes happen often that made me feel like I needed to focus all my attention on one party so that I could be ready when the next difficulty jump came, but I also needed to be raising the levels of my other students. Valtherian Arc is an enjoyable experience that simply needed a bit more polish to be really effective. Unlocking new classes and skills is fun and offers a fresh change in the combat. While there are some frustrating features and gameplay mechanics, Valtherian Arc can still be fun for many players.